The Venice Design Series is a wonderfully unique way for one to both experience the best of our local architecture and design, and also to support the extremely important efforts of Venice Community Housing. 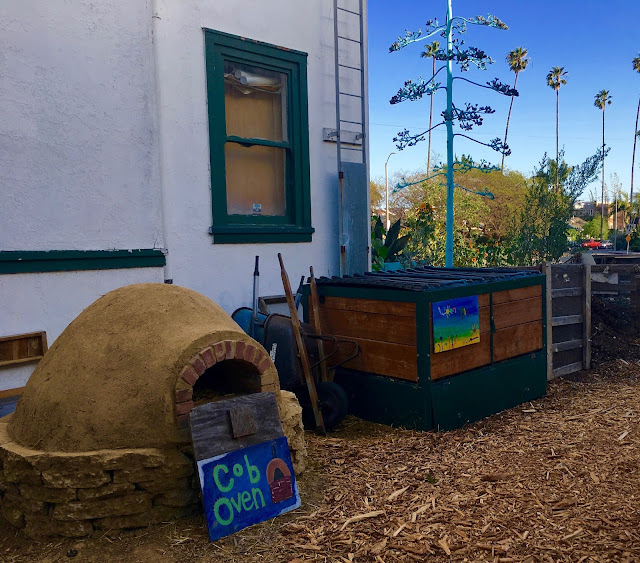 In a time when affordable housing is increasingly rare in Venice, the good works of the VCH are more necessary than ever. 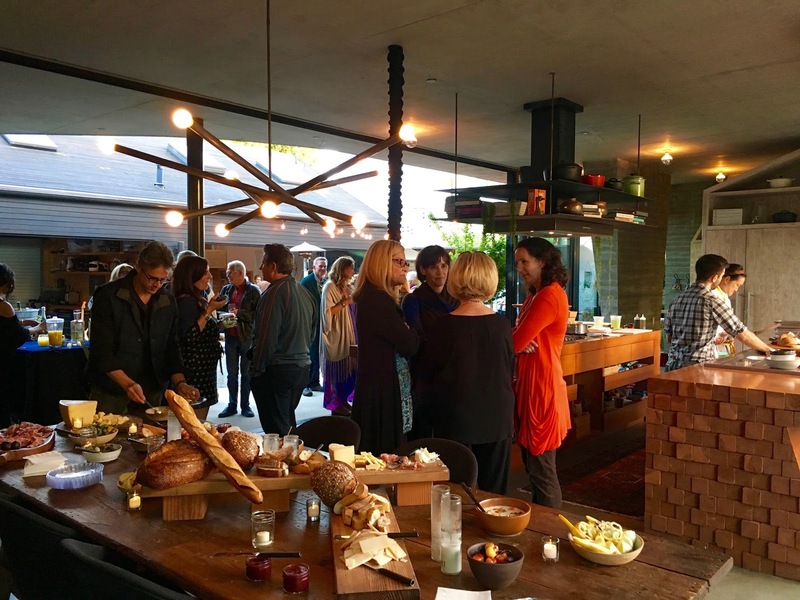 A series of events that blend art, architecture, design, cuisine, and performance make up the Venice Design Series, showcasing the artistic talents of our community from Malibu to Playa Vista. Participants get a glimpse into some of the most spectacular homes and buildings of Los Angeles, while learning and enjoying fine food and entertainment. I was invited to this past Saturday's events by Linda Lucks, VDS Co-Founder. 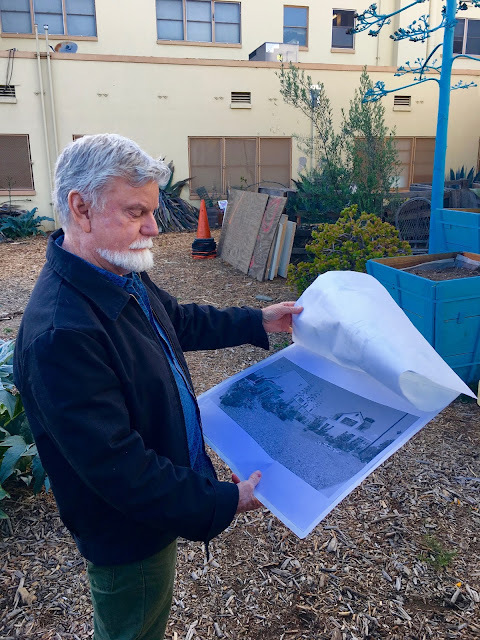 It included a Malibu Art and Architecture tour in the daytime that I did not make, and a tour of the gardens at Beyond Baroque and SPARC led by its designer, VDS Co-Founder, Jay Griffith. 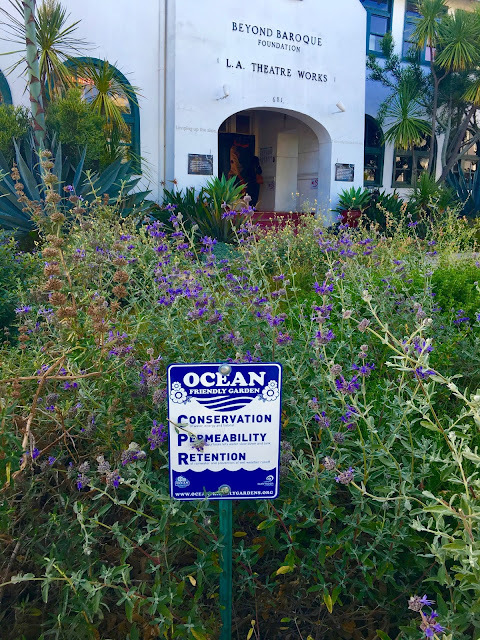 Anyone driving down Venice Boulevard over the last few months can see the wonderful progress of these beautiful free gardens being made outside of these two Venice historical institutions. Indeed, there is such an abundance of flowers and plants reaching for the skies there on Venice and Shell that, as Griffith said, "We're gonna make people get it at 40 miles per hour." You can't miss it. 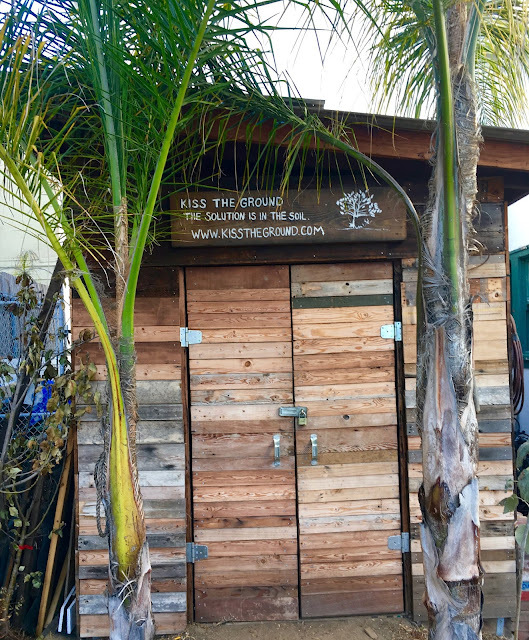 The garden is maintained by the Kiss The Ground organization and countless volunteers are working out there for free to create something great. The produce is donated to the volunteers from St. Joseph Center's homeless/low-income culinary students, who also take classes on gardening at the site. 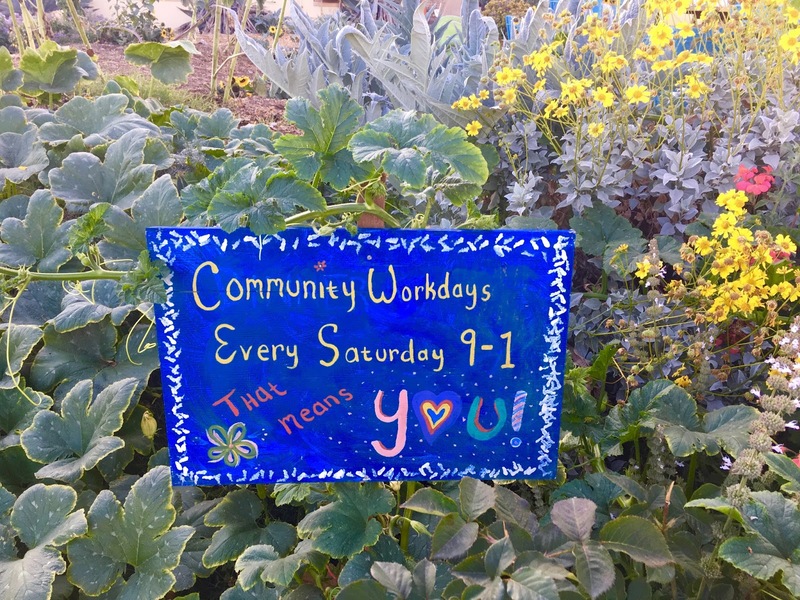 SPY (Safe Place for Youth) brings homeless kids for a 12 week gardening job training program, so everything about this program is for the good of all in our Community. 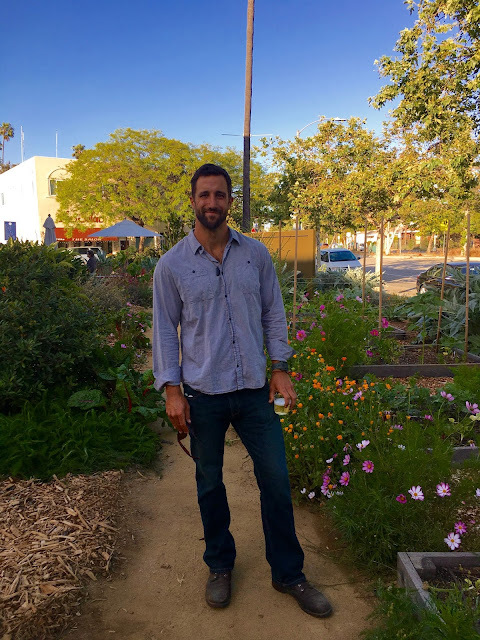 Garden Manager, Matt Finkelstein told us that soil sequesters carbon, and that "the most efficient way to combat climate change is to regenerate agriculture." Basically, everyone needs to get gardening! 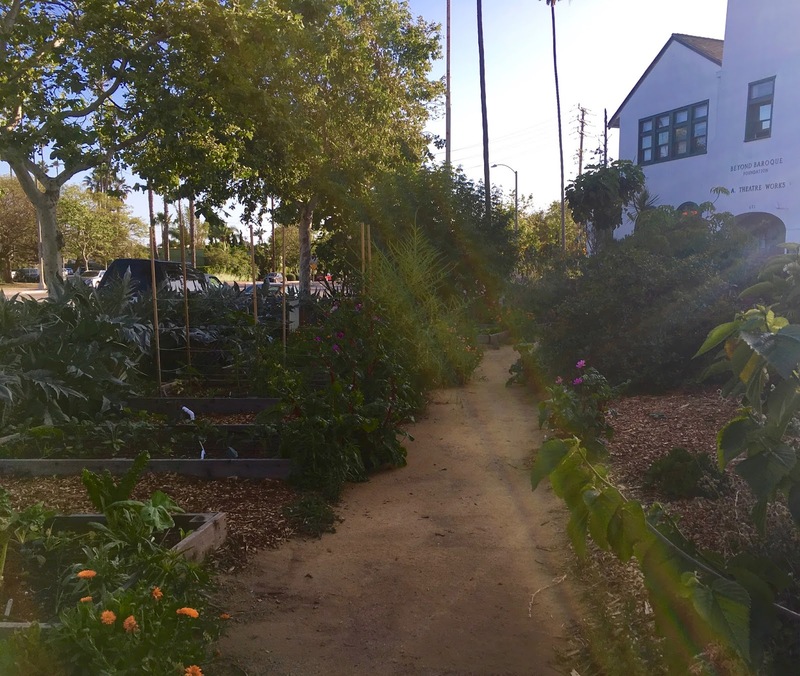 The gardens are open to the public, and there is plenty to do and learn about in there. The garden beds radiate out from a central point/stage area, where tall trees have been painted turquoise as a beacon of welcome to this "Venice Arts Plaza". There is a big compost area, and a bin for the worms that do all of the work. There is a green house, and a tool shed, and the whole area is dedicated to bringing us back to a healthy relationship with the soil that sustains us. Volunteers work every Saturday from 9 am to 1 pm at 681 North Venice Boulevard, and any questions can be directed to garden@kisstheground.com. After the lovely garden tour and talk, it was time to take our prosecco and stroll down the walk streets over to the spectacular home of Tiffany Rochelle and Paul Hibler (of Superba and Pitfire Pizza) for a cocktail hour and dinner, again to benefit Venice Community Housing. 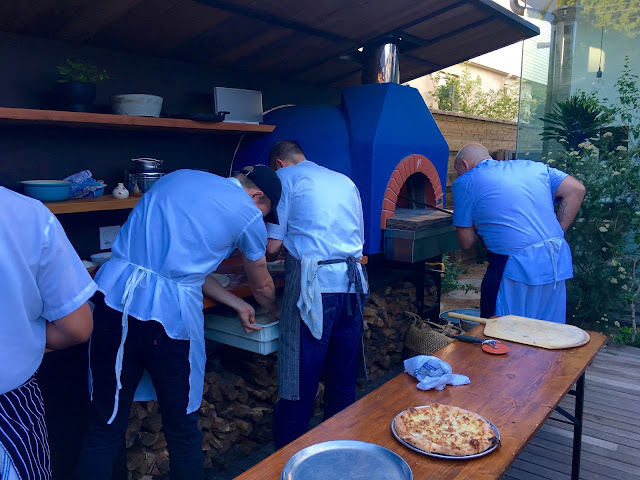 Hibler has a legit pizza oven out on his patio, and they were serving up their delicious creations as we sipped on some great tequila drinks. 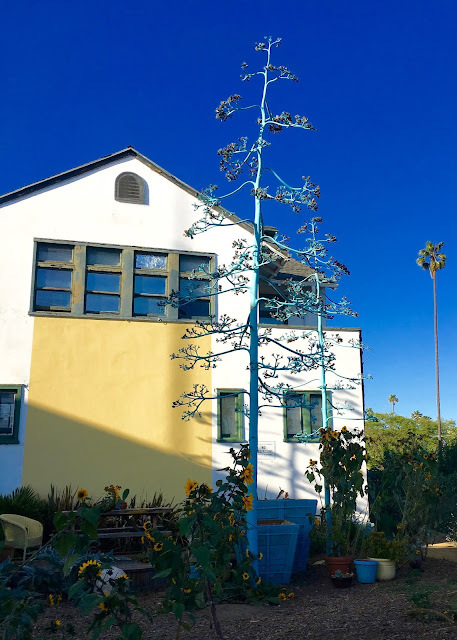 The Hibler home is worthy of its own design tour, and it was fun to see how diverse the homes of Venice really still are, as their very modern, wide open plan home (designed by Kulapat Yantrasast) was right next door to a beautiful purple Craftsman. 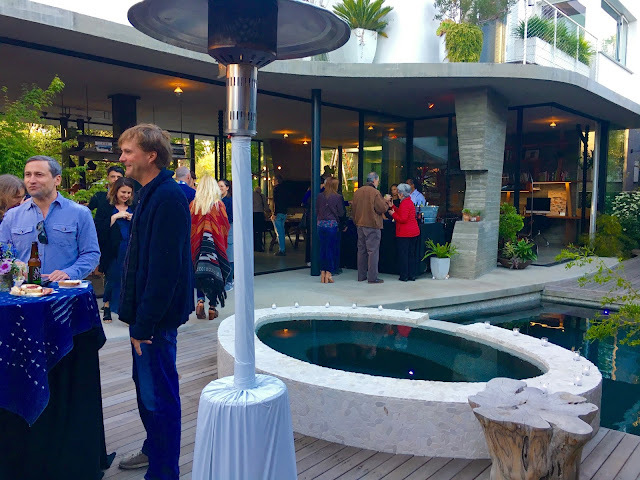 The friendly faces of Venice mingled about discussing the homes and the gardens seen that day, and everyone got to know each other a little better, another perk of these intimate gatherings designed to both promote and support the citizens of Venice. 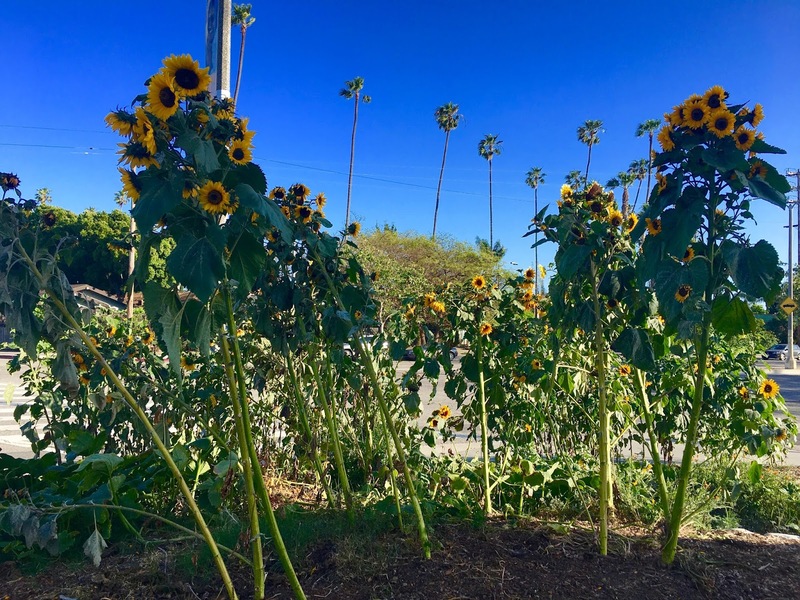 There is a great opportunity to do both coming up this weekend, when the Venice Design Series hosts THE Party at 72 And Sunny in Playa Vista. The former Howard Hughes headquarters will be the venue for "Mid Century Flight", the gala finale of the 2017 Venice Design Series. A tour of the facility, drinks, food, and dancing under the stars will all take place at this fundraiser for our Community's affordable housing, an endeavor that is more important now than ever before. Tickets are still available for this Saturday's mid-century shindig, and it's all for the most basic of human needs - our homes. 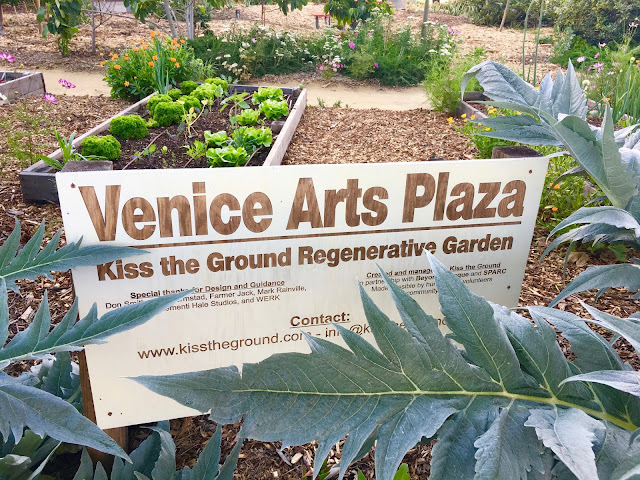 Thank you in advance for your support of Venice Community Housing and the Venice Design Series.